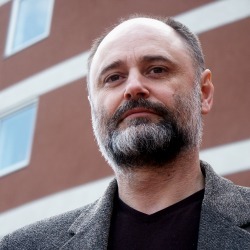 Pavol Frič is Associate Professor at Charles University in Prague. He acquired his Master in Sociology at Comenius University in Bratislava, later obtained his Ph.D. and habilitated in Public and Social Policy at the Faculty of Social Sciences, Charles University in Prague (FSS CUP). Until 1990 he worked at the Slovak Academy of Sciences, where he devoted himself to the general theory and research of social problems. In 1991-1992 he was deputy director of the Institute of Social Analysis at Comenius University. Since the end of 1992 he has been lecturing on the Sociology of Social Problems, on Social Movements, and on Civil Society in Central Europe at the Institute of Sociological Studies, FSS CUP. Since 2012 he has been lecturer at the Department of Adult Education and Personnel Management at Faculty of Arts, CUP. His lectures here are focussed on the Czech civil sector and social problems. Since 1996 he is senior researcher in the Centre for Social and Economic Strategies, also at the Charles University. His present points of interest are in the analysis and research of the scope of civil society, volunteering and elite-general public relations. He is a former member of the Committee of the Slovak Sociological Association and of the editorial board of Slovak journal “Sociológia”. In the period 2002-2010 he was a member of the FSS CUP Publishing Committee. Frič, Pavol, Pospíšilová, Tereza a kol. (2010) Patterns and Values of Volunteering in the Czech Society at the End of the 21. Century (Vzorce a hodnoty dobrovolnictví v české společnosti na začátku 21. Století). Praha: Agnes, 263 s.
The book focuses on the changing character of volunteering in Czech Society during the last decades. The author uses the concept of structural patterns to analyse volunteering as complex social phenomena and to reveal its social embeddedness and consequences. Sivesind, Karl Henrik – Pospíšilová, Tereza – Frič, Pavol (2013) Does volunteering cause trust? European Societies. roč. 15, č. 1, s. 106-130. The purpose of this article is to show that volunteering can cause trust, depending on the institutional context and the types of organizations for which people volunteer. Frič, P. (2014) Residual and Emancipatory Value of Volunteering in the Czech Society. In: M. Freise, T. Hallmann, Modernizing Democracy: Associations and Associating in the 21st Century. Springer Science+Business Media, New York 2014, chapter 11. In collaboration with Institutt for samfunnsforskning (Institute for social research) in Oslo, Norway, funded by EEA Norway Grants.